Prepare the turnovers according to the package directions. Melt the white chocolate chips according to the package directions. Stir until the melted white chocolate is smooth. 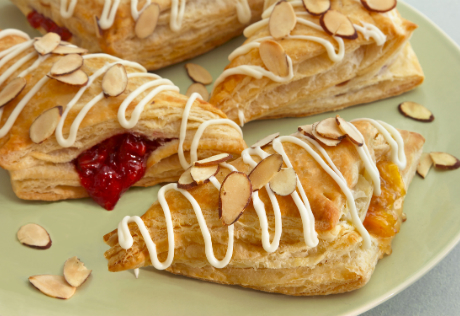 Drizzle the white chocolate over the turnovers and sprinkle with the almonds.